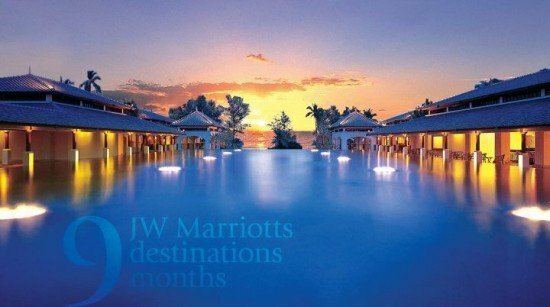 For your chance to win 3 night’s stay at the JW Marriott Khao Lak Resort & Spa ‘like’ JW Marriott Phuket Resort & Spa Facebook page and join in their September Activity. All you have to do is let them know, in no more than 50 words, If you are given a chance to stay at JW Marriott Phuket Resort & Spa and you gave one single day to explore the island, what you would do and the places you woud visit Share with all our Facebook friends and you will be entered into a draw to win a complimentary 3 night’s stay at the JW Marriott Khao Lak Resort & Spa! Your response must be 50 words or less to be a contender.